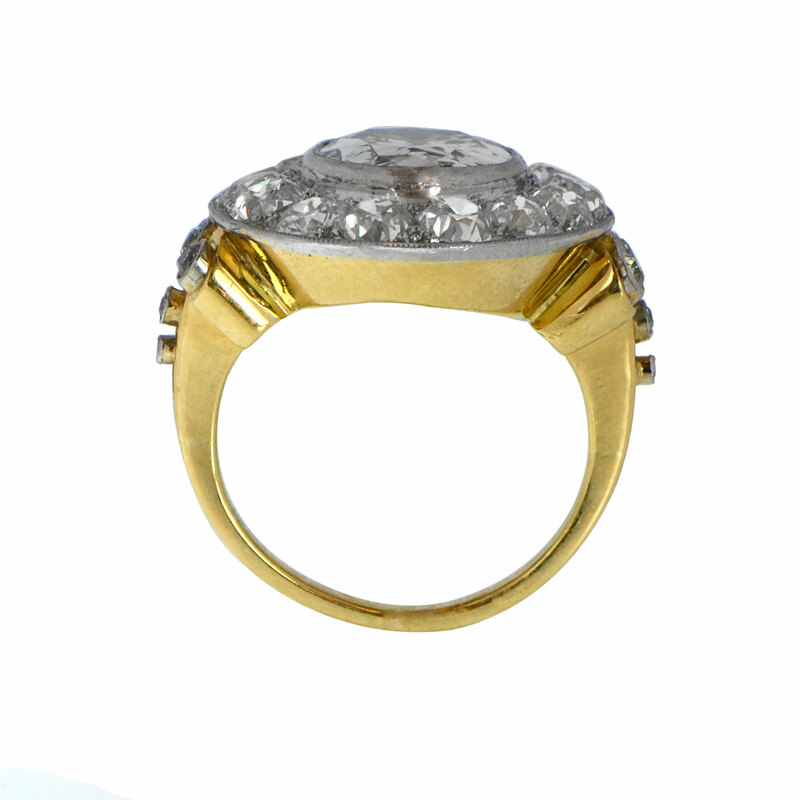 This is a ring that our jewelers hand-crafted in the style of the Edwardian era. If you are interested in recreating our Tiverton ring, please feel free to contact us. Gorgeous cushion cut cluster diamond engagement ring. 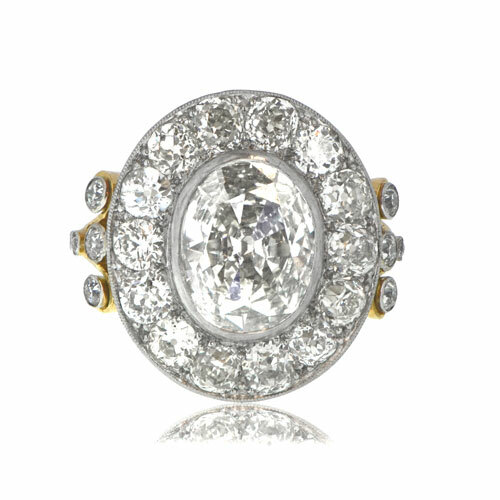 Center diamond is a beautiful old mine cushion cut which is approximately 3.25ct, K color, VS2 clarity. It is surrounded by 3.66 carats of old mine cut diamonds. 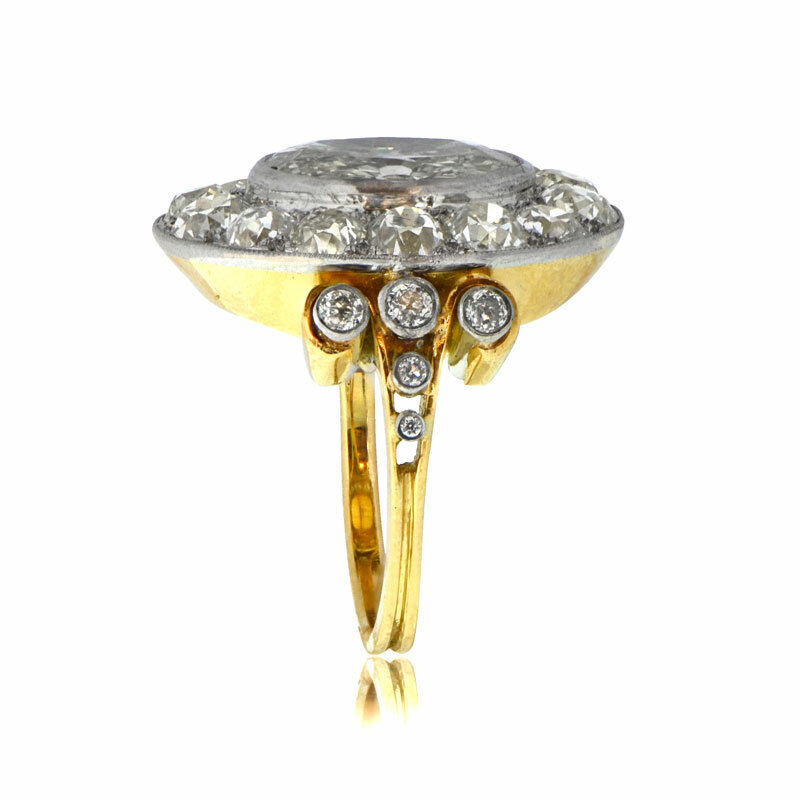 Diamonds are set in platinum-topped 18K gold. 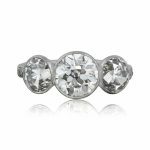 There are 10 small diamonds accenting the intricate shank of the ring. 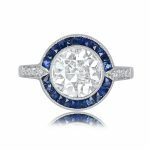 SKU: 10704 Categories: Cushion Cut Engagement Rings, Old Mine Engagement Rings, Vintage Engagement Rings - Contact us and request additional pictures.